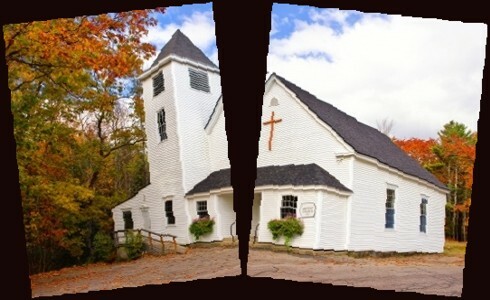 What Causes Churches To Split? How Can This Be Avoided? Why do churches split? Is it something that can be avoided? If you look at the word pride you can see what’s right in the middle of it; the letter “I.” That is, the person who is full of pride is almost always the cause of division, not just in churches but in the workplace, in politics, in the home…anywhere that this type of person is. Notice how many times some people say “I” like “I’d like this, I want that, I think this,” and “I believe that”; that is pride! A few years ago a huge church in Texas divided over something that was shockingly trivial…the color of the carpet in the foyer. Can you imagine how Christ, Who is the Head of the Church, must feel when believers split a church over something as non-essential as the color of the carpet? What a horrible witness this is to those who aren’t Christians. They must think to themselves, “If Christian’s can even agree on the color of the carpet in the church, I don’t want any part of it…I get enough divisiveness in the world where I live, thank you!” What a shame. The solution to a church split is all right there in the Bible! It is true that truth divides and sometimes a church has justifiable cause to split. When one denominational church decided to change their statement of beliefs and take out the part where it says “the Bible is the inerrant Word of God” some of the membership asked why? Some had come to the belief that the Bible had mistake’s in it, therefore we couldn’t say that it was inerrant (without error) so part of the church decided to no longer be a part of that church because they didn’t uphold the Word of God as being perfect. Who can blame them? I’d be outta there too so there is every good reason for members to leave or split off to form another church when essentials of the faith are being put to the question or being cut out of their statement of beliefs. Truths such as Jesus being without sin and His resurrection is not something we can negotiate and these things cannot be something that a church can hold to and still call themselves a church. That would make them a cult. When the Word of God is attacked or doubted, it is, in reality, attacking God and His character. Anytime there is a mix of truth and error, it is not truth anymore. For a church to divide over the essentials of the Christian faith is not only suggested…it is absolutely necessary. Some churches have no outreach programs at all. Still others have no evangelism going on among their members. Some churches have ceased from having Communion or the Lord’s Supper. These are also things that churches split over. It might come from a simple mission statement change. When the church begins to only look inward and not upward and outward, they become narcissistic and self-focused and self-centered. When they are only interested in getting into their private holy huddles they become the “frozen chosen” and when they choose to only sit in their pews, they turn into pew potatoes. That’s when the church and their members become nearly useless to Christ Who is the Head of the Church. No wonder some split off from such churches to start their own church. For one thing, Christians are not living like Christians among themselves if they are splitting or dividing for no good reason. Ephesians 4:12 says that Christ “he gave the apostles, the prophets, the evangelists, the shepherds and teachers, to equip the saints for the work of ministry, for building up the body of Christ, until we all attain to the unity of the faith and of the knowledge of the Son of God, to mature manhood, to the measure of the stature of the fullness of Christ” (Eph 4:11-13). The goal is to attain to the unity of the faith but we have often failed to be “submitting to one another out of reverence for Christ” (Eph 5:21) in many cases. Paul says the church must “through love serve one another” (Gal 5:13) and “being of the same mind, having the same love, being in full accord and of one mind” (Phil 2:2) and “Do nothing from selfish ambition or conceit, but in humility count others more significant than yourselves. Let each of you look not only to his own interests, but also to the interests of others” (Phil 2:3-4) but here’s what many Christians often do; they think more significantly of themselves, they serve themselves out of selfish ambition, they look only to their own interests and not to the interests of others…and this causes churches to split due to the intense friction these carnal natures create. Many believers live in just the opposite ways of what Paul commands in Ephesians 4:11-13 and 5:21, in Galatians 5:13 and in Philippians 2:2-4. I believe that the best solution is to esteem or think of others as more significant than themselves, put other’s interests ahead of their own, and to serve one another in love looking out for the interests of others above their own self-interests. Such loving attributes, inspired by the Holy Spirit, make the Christian and the church attractive to the outside world where it’s all about self. Romans 12 has been described at the Christian’s job description where it says we must “Let love be genuine. Abhor what is evil; hold fast to what is good. Love one another with brotherly affection. Outdo one another in showing honor. Do not be slothful in zeal, be fervent in spirit, serve the Lord. Rejoice in hope, be patient in tribulation, be constant in prayer. Contribute to the needs of the saints and seek to show hospitality” (Rom 12:9-13). I love the outdoing “one another in showing honor” and “love one another with brotherly affection.” These are ways to reduce the risk of a church split. They are not from some church consultant or psychologist but from God’s Word so we know that they are truthful and because they are, they work. Paul continues to describe the ideal Christian in Romans 12:16-18 “Live in harmony with one another. Do not be haughty, but associate with the lowly. Never be wise in your own sight. Repay no one evil for evil, but give thought to do what is honorable in the sight of all. If possible, so far as it depends on you, live peaceably with all.” Notice again how the believer lives; they are never wise in their own eyes because conceit is pride centered, they are not to be haughty (proud, looking down at others), they are to live with one another in harmony, and to live as peaceably as they possibly can with others. Paul addressed a church that had plenty of divisions and these too were pride caused…some boasted over gifts that they had those other believers didn’t but Paul shows them what God values; “Love is patient and kind; love does not envy or boast; it is not arrogant or rude. It does not insist on its own way; it is not irritable or resentful; t does not rejoice at wrongdoing, but rejoices with the truth. Love bears all things, believes all things, hopes all things, endures all things” (1 Cor 13:4-7). Notice again how Christians can reduce the risk of a church split; love is patient, kind, doesn’t envy, doesn’t boast, isn’t rude, isn’t arrogant, and doesn’t insist on having its own way. That last part alone, if lived out, would cause Christians to reconcile differences among themselves without splitting as friends or as a church. They might disagree but they’d agree to disagree without being disagreeable. Fighting for biblical truth sometimes makes it necessary for a church to split but aside from that, if we could just slay the dragon of pride, most churches would never divide or split. They’d be too busy loving one another, serving one another, esteeming one another better than themselves, they wouldn’t boast, be arrogant, be envious, be rude, and insist on having their own way. We don’t need some church expert or consultant telling us why churches split. We know that it most often pride induced, sometimes it is truth that divides and that is excusable, but the solution is in God’s Word and yielding to His Spirit in all humility and humbleness and true humility never insists on getting its own way but esteeming others better than one’s self. The solution to a church split is all right there in the Bible; Romans 12, 1 Corinthians 13, Philippians 2, Galatians 4 and 5, Ephesians 4 and 5. Read it, yield to it, and do it and the only splits you’ll have in your church will be the banana splits you might happen to serve at a church dinner. Read this: What Does the Bible Say About Pride? Same with any relationship, from business to marriage. I fight pride daily. It is so hard to put into practice, sacrificial living. It sounds good on paper but it is the hardest thing for me to do. After all, didn’t God make me to bless me?? Uh, NO! He made me to bless Him. What an alien concept for the old man to deal with. Thank you for the helpful reminder, to seek God’s Grace through prayer to lay “self” on His altar. God help us! How tragic that this is happening more and more everyday. Thanks Doc for the encouragement my brother. Much needed by all Churches. Thank you so much Mr. Faust. I appreciate your encouragement pastor. Even the fall of a church. Thank you Pam for the encouragement my friend. It grieves us but can we imagine what it does to Christ, Who is the Head of the Church? I agree about pride. Thank you.